Please keep an eye on this page for the next Pūtake Reo wānanga coming up in 2019!!! He karanga, he hokinga mahara tēnei ki ngā taonga nā ō tātou tūpuna i tuku mai ai ki a tātou. 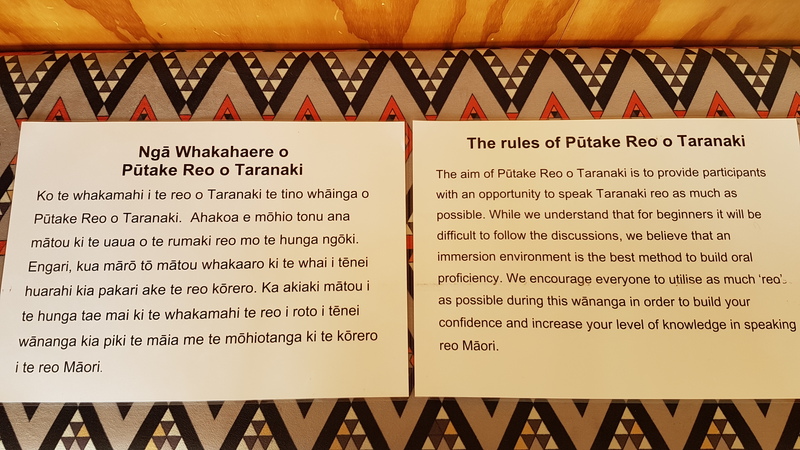 Ko te reo te take, ko te tangata te take, ā, ka hoki rā, ko te mounga te take tātou katoa ngā uri. Pūtake Reo community wānanga are held twice a year for all learners of Taranaki reo. We welcome people at all stages of proficiency. You will be grouped with others who have similar learning needs. Workshops cater for beginners, intermediate & advanced.